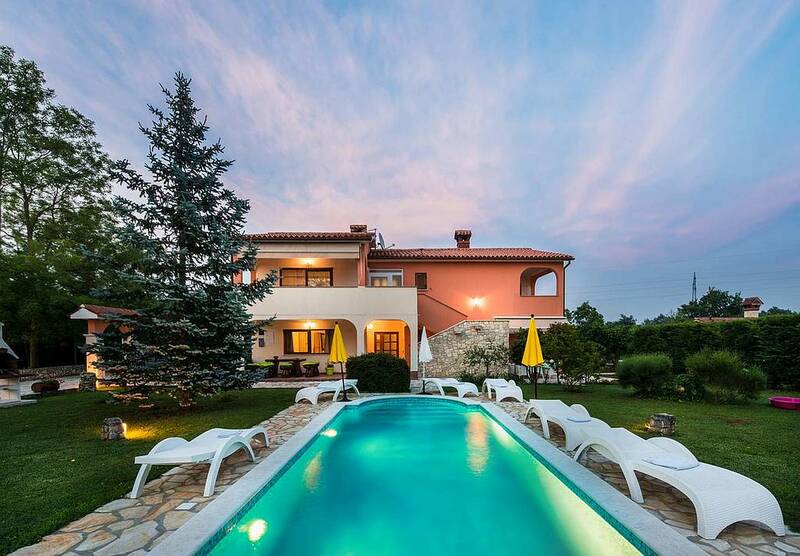 Casa Domenica In lies in the village of Vrecari near Nedescina, only 5 km from the town of Labin and 9 km from the well-known tourist resort Rabac. The nearest supermarket, gas station and restaurant are only 2 km away. 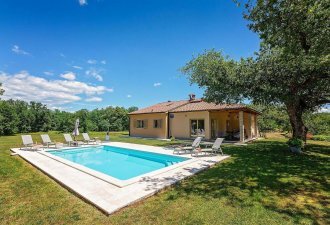 On a fenced and beautifully maintained plot of 2000 sqm there is a private pool of 32 sqm, equipment for children, two terraces, barbecue and two parking spaces. The discreet homeowners live in the other half of the house but have their own entrance and separate driveway from the other side of the property. Casa Domenica In on two floors, consists of two separate apartments with a total area of 240 sqm. On the ground floor there is a smaller kitchen with fireplace and dining table, air-conditioned living area with satellite TV and exit to the covered terrace with sitting set, two bedrooms with double bed (160x200) and a bathroom with hydromassage bath/shower/toilet and one more shower/toilet. On the second floor, accessible with external stairs, there is a fully equipped kitchen with dining table and chairs for 6 people, air-conditioned living area with satellite TV and exit to the balcony with a sitting set, a bedroom with double bed (160x200) and exit to the balcony, a bedroom with double bed (160x200) and a bathroom with bathtub/toilet and separate toilet.